What’s inspiring folks to jump ship from where they’ve built their life’s work to pursue other firms or even business models? By our count, of the 19 moves made by $1B+ teams leaving traditional brokerage firms between January 1st and June 30th of this year, 9 went independent. 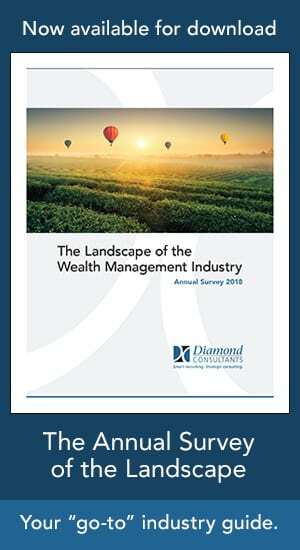 And these $1B+ teams typically serve as proxies for the rest of the industry, a bellwether if you will for what’s happening in wealth management. Historically, when an advisor decided to change jerseys it was because the weight of frustration with the status quo became too much of a burden. Today, while an increasing lack of control can still serve as impetus to push an advisor out of the nest, more often than not advisors and teams are more often being “pulled” towards new opportunities. While the negative pushes may spur the initial restlessness, the ultimate decision to stay or go (and yes, staying put is a decision) should be based upon the pulls; that is, the positive draws offered by a new opportunity. The process of getting educated isn’t a commitment to move, but the chance to proactively make a decision rather than allowing yourself to be pulled along a path not of your own choosing. Ultimately, this process will guide you to answer the all-important question: Do I stay or do I go? What compels breakaway advisors to go around “the wall”?